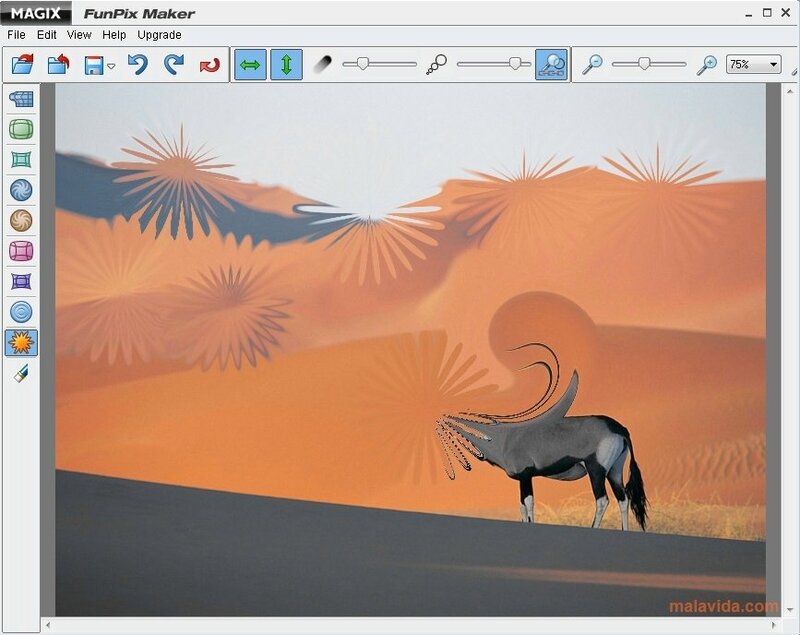 Magix FunPix Maker is a simple program with which you'll easily be able to distort your images. Would you like to appear in your photos more muscly? 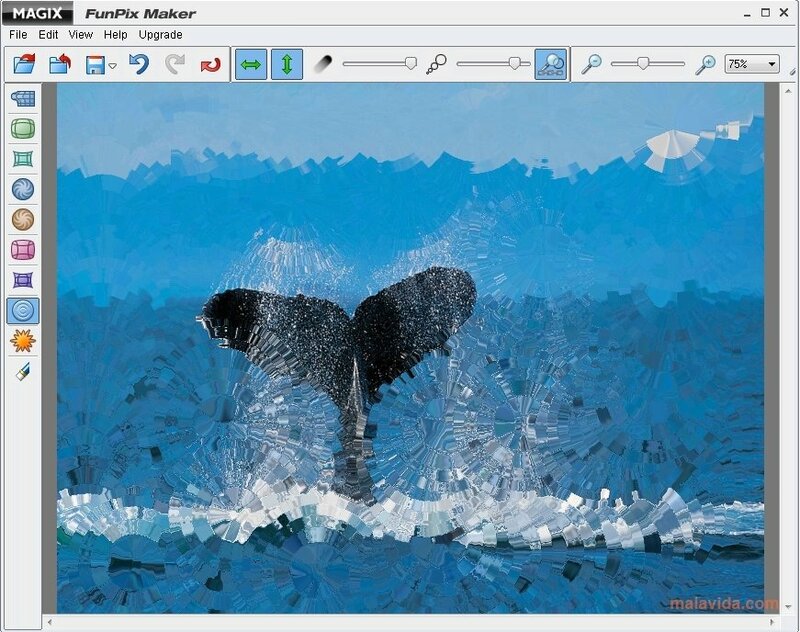 With Magix FunPix Maker you'll only need a few seconds and to choose the proper tool. This kind of transformations can be performed with more complex applications like Photoshop, but they require more time and dedication. 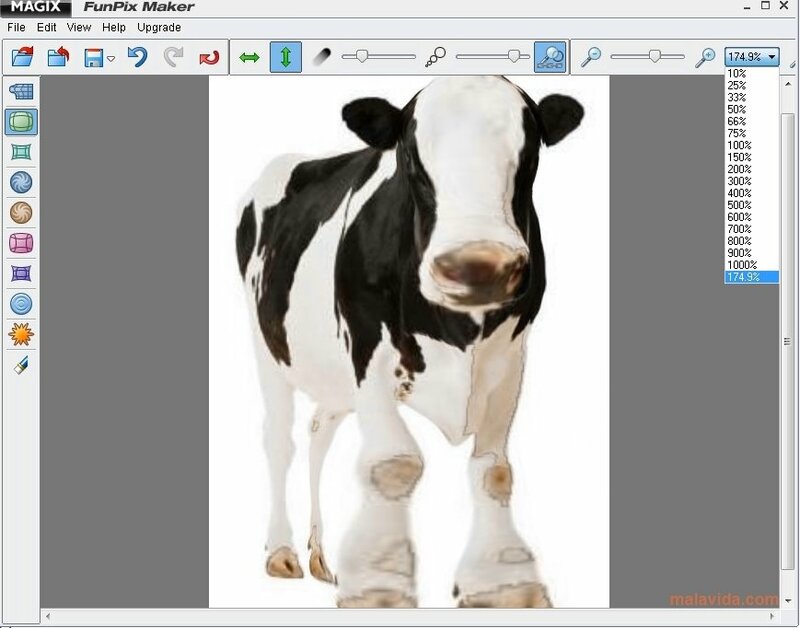 Magix FunPix Maker can be used to enhance your photos in an exaggerated and funny way. You will be able to create a caricature of your friends by making their nose bigger, making their hair stand up, or pulling their eyebrows. To create a funny caricature the best idea it to choose the most special and exaggerated traits of the person. 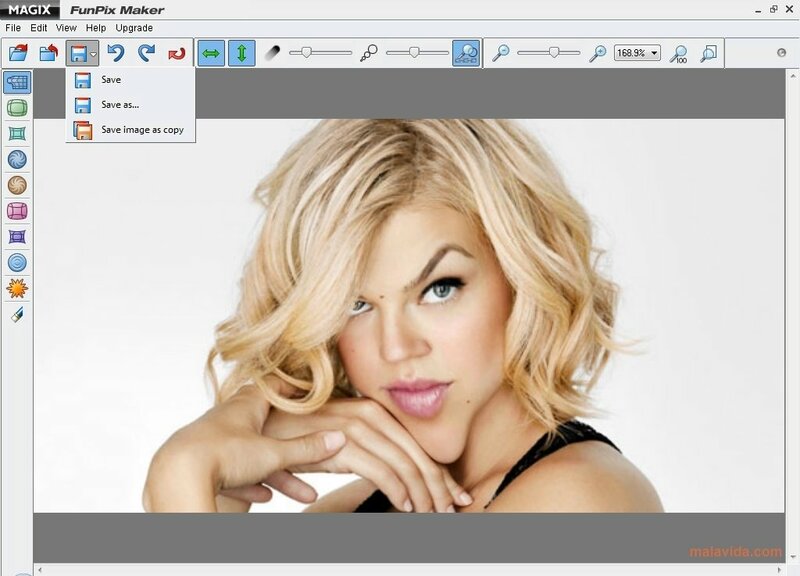 For example, if a person has big eyes, with Magic FunPix Maker you will be able to make it look as if they are out of position. Choose the tool that you want to use (to enlarge, increase, wind up,etc.). Select the size and the intensity of the tool. Enhance the image and store it. 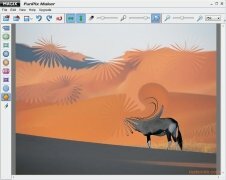 Download Magix Fun Pix Maker and deform your photos to create entertaining effects. To use the application free without any time limit it is necessary to register for free here.